You are a Guardian of the last city on Earth, able to wield incredible power. Venture out alone or join up with friends. Personalise and upgrade every aspect of how you look and fight with armour, weapon, and visual customisation combinations. It blends epic science fiction with grand visuals and fast-paced first-person-shooter action. Players are the Guardians of the last city on Earth. In their quest to keep the remnants of humanity safe, they walk the ancient ruins of our solar system - from the red dunes of Mars to the dense jungles of Venus. Playstation 3 Destiny. Condition is Good. Dispatched with Royal Mail 1st Class Large Letter. Missing manual. Disc is clean with no markings. Destiny -- The Collection (Microsoft Xbox One, 2016). Condition is New. Playstation 3 Destiny . Condition is Good. Dispatched with Royal Mail 1st Class Large Letter. Missing manual. Disc only has a couple of light markings. 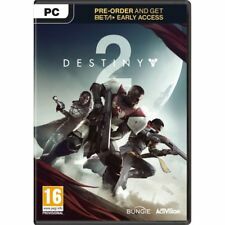 Destiny - SONY PS4 Game. Condition is Very good. Any questions please ask. Please take a look at my other items. Thank you. Realms Of Arkania: Blade Of Destiny (Xbox One). Prepare to stop the Orcisch threat while creating a mighty alliance between nations. Use your talents and spells wisely and fulfil your imposed quests. Like new and still in its original jewel case. The Dark Below. The Taken King. 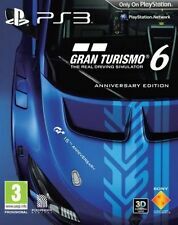 UK PAL format. Destiny ps4. Condition is Good. Dispatched with Royal Mail 1st Class Large Letter. Atelier Iris 2 - The Azeroth of Destiny American Version NTSC/US PS2 Game. Condition is Very Good. Dispatched with Royal Mail 1st Class Large Letter. 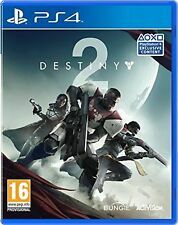 Destiny (Sony PlayStation 4, 2014). Condition is Good. Dispatched with Royal Mail 1st Class Large Letter. Destiny (Sony PlayStation 3, 2014) ⭐️Playststion 3⭐️PS3⭐️Kids Game⭐️. Condition is Very Good. Dispatched with Royal Mail 1st Class Large Letter. Prepare to stop the Orcisch threat while creating a mighty alliance between nations. Use your talents and spells wisely and fulfil your imposed quests. Thorwals future belongs to you! Will you be able to halt the Orks and draw from thence as Thorwals new hero?. Destiny Microsoft Xbox One 2014 Europe. Condition is Very Good. Dispatched with Royal Mail 2nd Class. We're a team of avid Destiny 2 PvP players. Destiny 2 Mountain top. PVP coaching by the world's best players. Destiny – The Collection contains every release from the award-winning first person action -shooter franchise to date. It includes: Destiny, Expansion I: The Dark Below, Expansion II: House of Wolves, The Taken King, and the newest adventure, Rise of Iron. Destiny (Sony PlayStation 3, 2014). Condition is Very Good. Dispatched with Royal Mail 1st Class Large Letter. 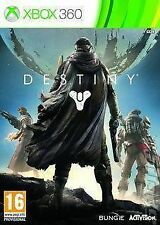 Destiny -- The Collection (Microsoft Xbox One, 2016). Condition is Very Good. Dispatched with Royal Mail 2nd Class Large Letter. Up for sale is Fighters Destiny on the N64. Destiny -- The Collection (Microsoft Xbox One, 2016)Mint condition throughout . Condition is Like New. Dispatched with Royal Mail 2nd Class Large Letter. DLC has been redeemed. 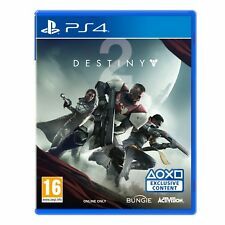 Destiny (Sony PlayStation 4, 2014). Condition is Like New. Dispatched with Royal Mail 1st Class Large Letter. 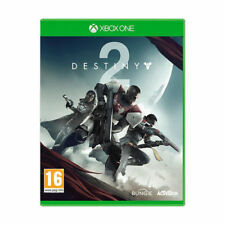 Destiny Microsoft Xbox One 2014 Europe. Condition is Like New. Dispatched with Royal Mail 2nd Class Large Letter. MUST have forsaken annual pass and be 620 . The disc and case are in very good condition. Code is now out of date. Yu-Gi-Oh Destiny Board Traveler Nintendo Game Boy Advance Cartridge. Condition is Very Good.ONLY comes with cartridge Dispatched with Royal Mail 1st Class Large Letter. Destiny Microsoft Xbox One. Condition is Like New. Dispatched with Royal Mail 1st Class Large Letter. Ps4 Game Destiny. Condition is Good. From smoke free and pet free home Dispatched with Royal Mail 1st Class Large Letter. 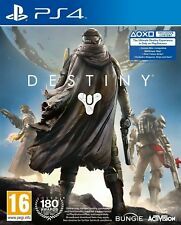 Destiny -- The Collection (Sony PlayStation 4, 2016). Condition is Like New. Dispatched with Royal Mail 1st Class Large Letter. 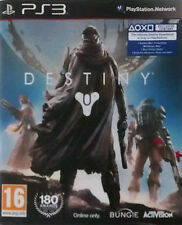 Destiny Sony PlayStation PS3 Game. Condition is Very Good. Dispatched with Royal Mail 1st Class Large Letter. Disc is in good condition.